Dozens of lucky EVSC students have been chosen to join the Evansville Police Department on the trip of a lifetime. As the kids get ready for their trip to the happiest place on Earth, they stopped by EVSC’s Hangers to get everything they need. As all these deserving EVSC students get ready to pack their bags for their trip to Disney in May, Hangers is making sure their suitcases are filled with everything they need to have the best time possible. 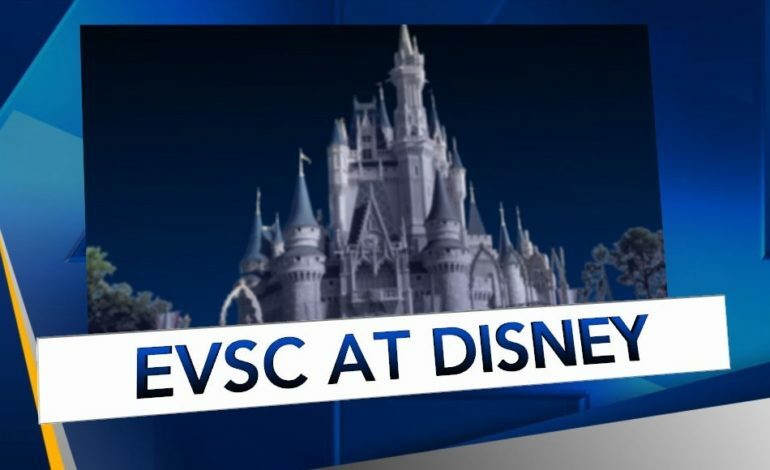 Each year, several middle school students are chosen for a trip to Disney world with the EPD, but in years past some of the kids didn’t have proper or enough clothing to last them through the trip. Hangers provides all EVSC students with free clothes throughout the year and Monday the kids going to Disney picked up everything they need to make this year’s Cops Connecting with Kids trip even more amazing. Sierra’s reaction really shows how special this trip is for these students. This is also the first year everyone will be flying to Disney World. Now all they must do is fill their suitcases with their new clothes and get ready to catch a flight to the happiest place on Earth on May 13th.